Impact: Supports women in Swaziland affected by gender discrimination related to HIV/AIDS. Siphiwe is an extraordinary Swazi woman, activist, educator and campaigner. In 1999, as a married 40-year-old looking to continue her education in agricultural economics, Siphiwe Hlophe discovered she was HIV positive. As a result, her husband left her and she lost an academic scholarship. She reacted by co-founding an organisation in 2001 called Swazis for Positive Living (Swapol), which aims to fight gender discrimination related to HIV/Aids and help other HIV/Aids victims. Swazilandhas the highest HIV prevalence rate of any country in the world and the lowest life expectancy for both women and men too. Women are killed for disclosing their infection or for simply finding out about their husbands infection. Similarly, women who are HIV-positive are isolated from their families and communities. Siphiwe Hlophe fights these types of attacks and against the spread of HIV and AIDS by building both the physical, psychological and emotional strength of those who have this disease, and by changing the communities’ perceptions of it. 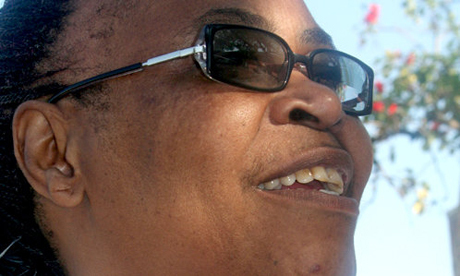 In 2007, Siphiwe Hlophe won the Bindsman and Camapigning Award for Campaigner of the Year. Since then she has partnered with UK based charity, Positive Women who work across theUKand Europe to help raise the political and social issues facing Swaziland as well as providing much needed fundraising and project funding for vital HIV/Aids programmes inSwaziland. Siphiwe Hlophe is the President of Positive Women.